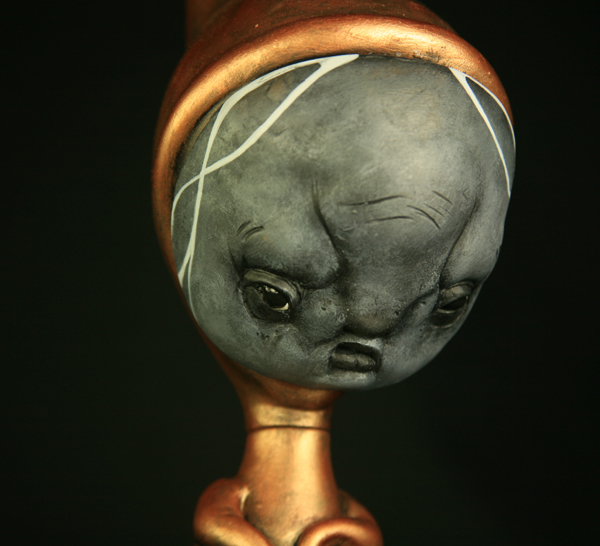 We gave you a teaser earlier on some Skelves Scott Radke is working on for his show at Stranger Factory, and now we are pleased to fully reveal three of them! 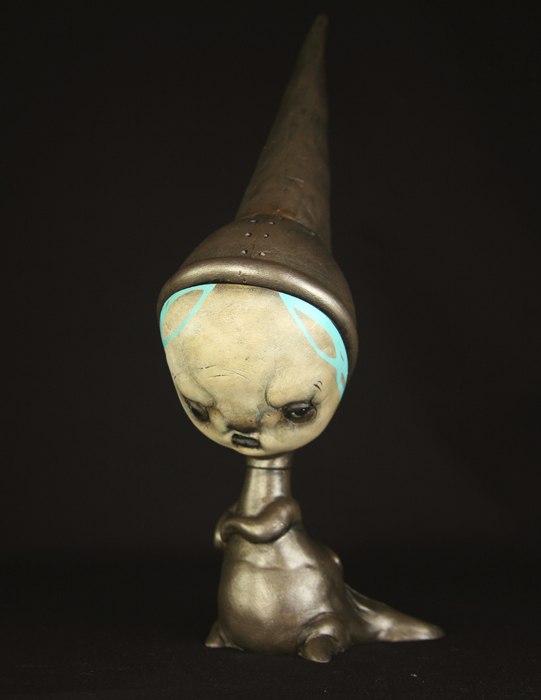 Scott takes the classic Skelve platform and combines it with his own defined style to create a brand new Skelve look. The Radke Skelves are both familiar and new, but they are undeniably mysterious and charming. And the details – that pointy burlap cap, perfect little painted heart and tiny rivets! Scott will have numerous Skelves available for the show, and so we don’t spoil it, we are only showing you a small sample. These faces grow even more expressive with each look, so study them carefully! Will we be able to purchase online once the show starts? Online sales will start that Monday. 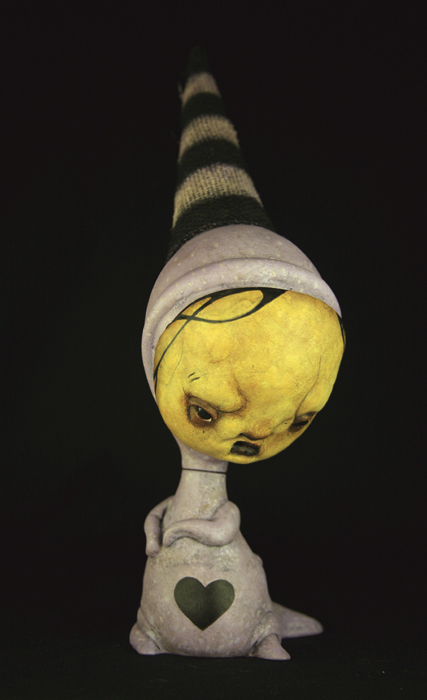 Sign up for the preview at http://www.strangerfactory.com, and when the preview comes out, details will be included for online purchasing.